Josie's Juice: Dame Elisabeth Murdoch dies. Her legacy. Dame Elisabeth Murdoch, the matriarch of the Murdoch media family and lauded philanthropist has died in her Melbourne home. She was 103. What a hugely inspirational woman. "We have lost the most wonderful mother but we are all grateful to have had her love and wisdom for so many years. And this morning Mr Murdoch posted a Twitter message paying tribute to his mother, saying her loss was "still a blow" despite her age. 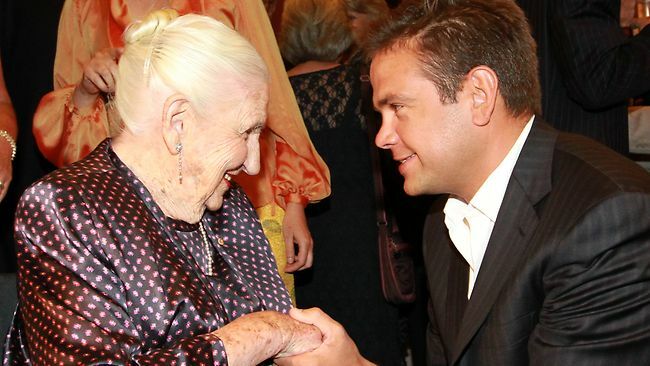 Dame Elisabeth supported over 100 charities annually and was renowned for her commitment to helping others.